Pearls, hailed as the ‘Queen of Gem’ have been in use from 5th century B.C. They are a status symbol, good luck charms and women’s ornament. 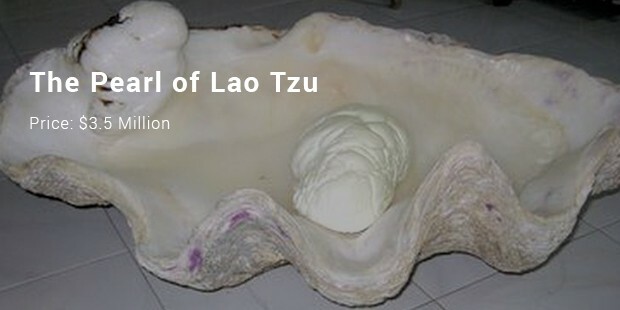 Pearls are exquisite in nature due to its radiance that is formed inside an oyster by a living organism. Usually pearls are characterised by its whiteness but they are also made up in different other colours such as pink, green, black and grey. This pearl was unveiled in 2010 in China which is about 6 tonnes and 5 feet high. 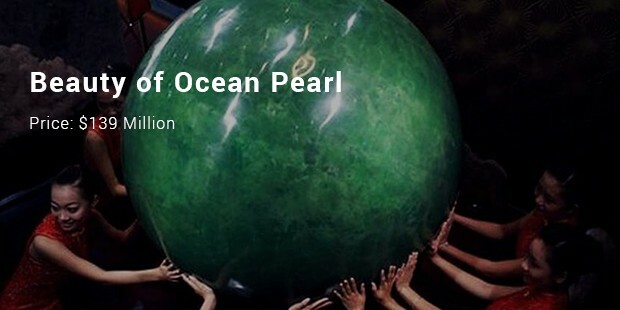 It is considered as the largest pearl made by man that grew into the shape of a pearl over three years. This pearl is green in colour which glows in darkness. In the literal sense the word ‘La Peregrina’ is labelled as ‘the pilgrim’ that was earlier called as Phillip II pearl. 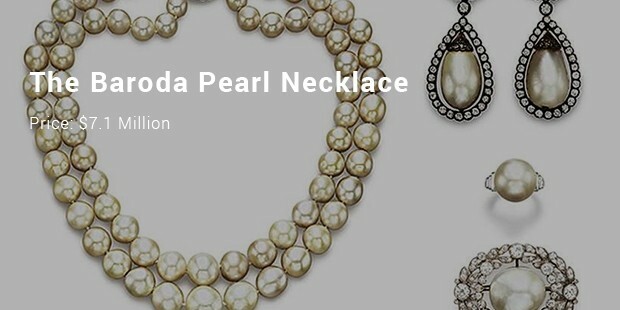 The shape of the pearl is like a pear adorned with floral pattern. In the centre lies ruby and Richard Burton purchased it for $37,000. 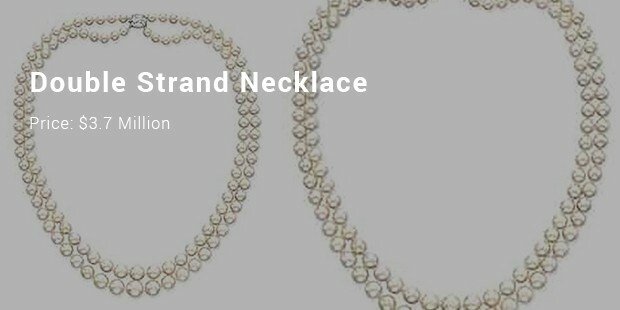 The pearl necklace carries a rich legacy with two strands. In all there are 68 pearls all chosen from the Indian Maharajas rows of seventh, sixth, fifth and fourth. All the pearls match equally in shape, size and also colour. Some of the pearls are big chunks. 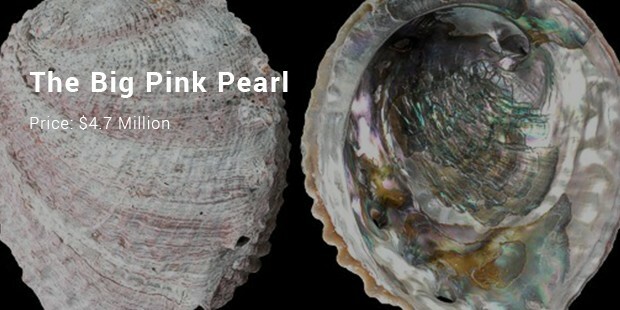 Wesley Rankin discovered the abalone pearl in 1990. 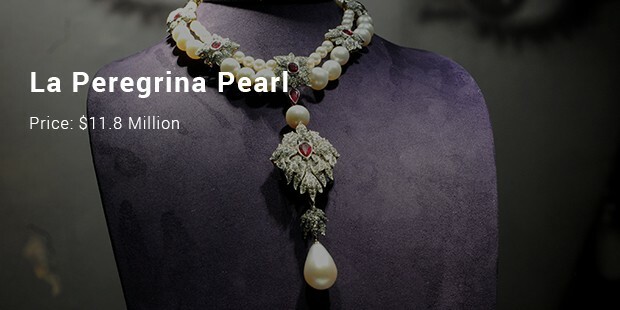 With 470 carats the baroque pearl is remarkable for its size. The colour is iridescent pink and has multiple hues such as lavender, silver, orange, pink, green and blue. 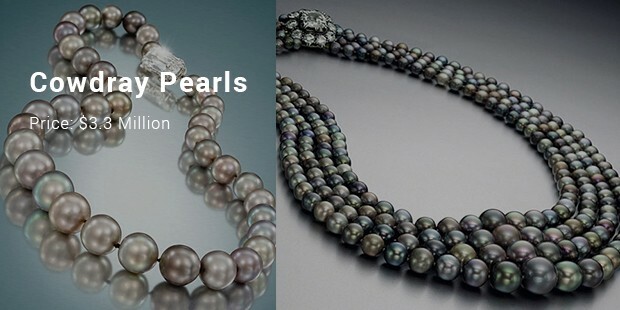 Rankin possesses the pearl who also owns “Pacific Coast Pearls” company. Conjuring pictures of the iconic figures like Cleopatra, Elizabeth Taylor, Coco Chanel, Audrey Hepburn and Jacqueline Kennedy Onassis comes to foray. They had all adorned the pearl necklace. 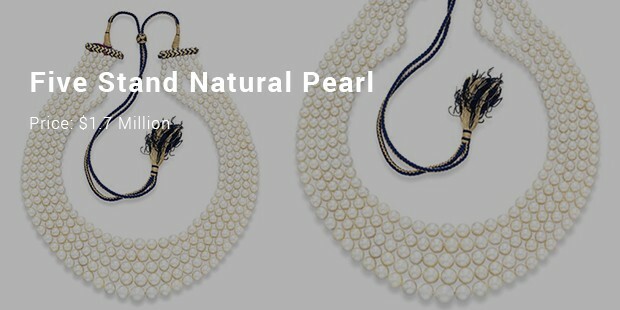 The monetary value of the pearls as associated with the iconic legends is of great value.